"Great Medal Mingoes" 5 X 7 matted print. Photography and Handcrafted by Choctaw Artist Linda Kay Sawyer. 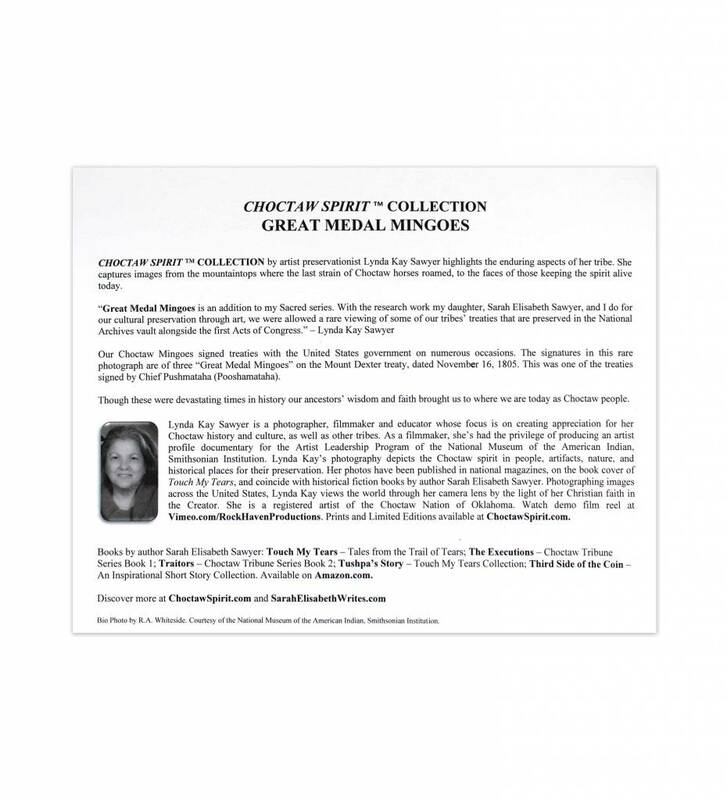 Our Choctaw Mingoes signed treaties with the United States government on numerous occasions. The signatures in this rare photograph are of three "Great Medal Mingoes" on the Mount Dexter treaty, dated November 16, 1805. 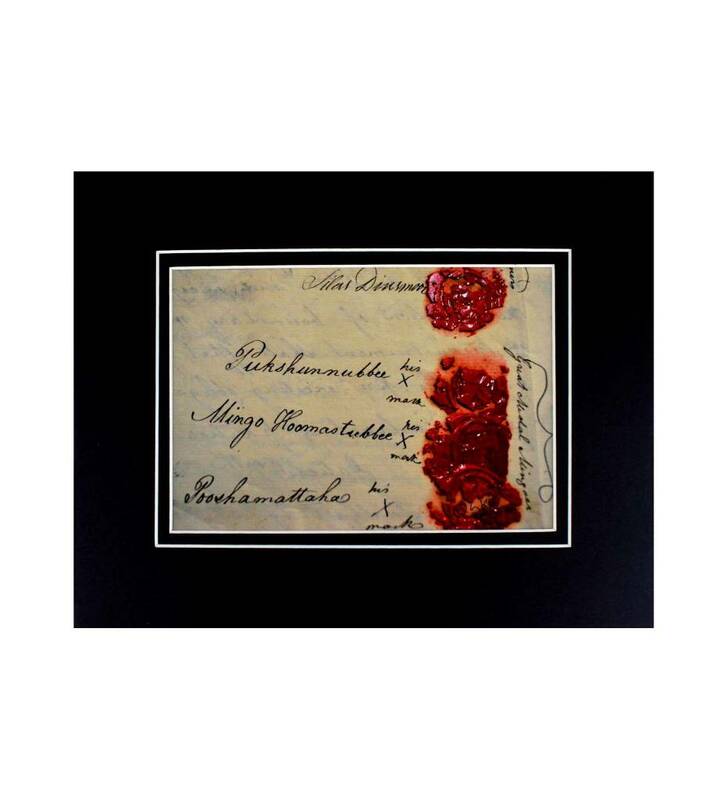 This was one of the treaties signed by Chief Pushmataha (Pooshamataha). Though these were devastating times in history our ancestors' wisdom and faith brought us to where we are today as Choctaw people.